You will Watch G.I. Joe: A Real American Hero Season 1 Episode 18 online for free episodes with HQ / high quality. Stream cartoons G.I. 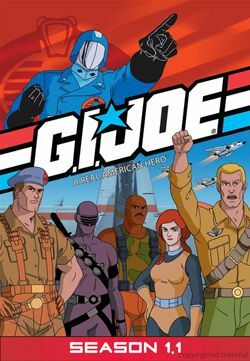 Joe: A Real American Hero Season 1 Episode 18 The Phantom Brigade Cobra Commander and the Baroness hire a Gypsy to summon three ghosts; a Centurion warrior, a Mongolian Amazon, and a World War I American pilot ace, to destroy G.I. Joe. The Baroness informs the Joes to locate a Roman coin, a wedding ring, and heart-shaped locket from Cobra Commander, and then bury the items to make the ghosts disappear. G.I. Joe: A Real American Hero Season 1 Episode 17 – The Synthoid Conspiracy (Part II) G.I. Joe: A Real American Hero Season 1 Episode 19 – Lights! Camera! Cobra!